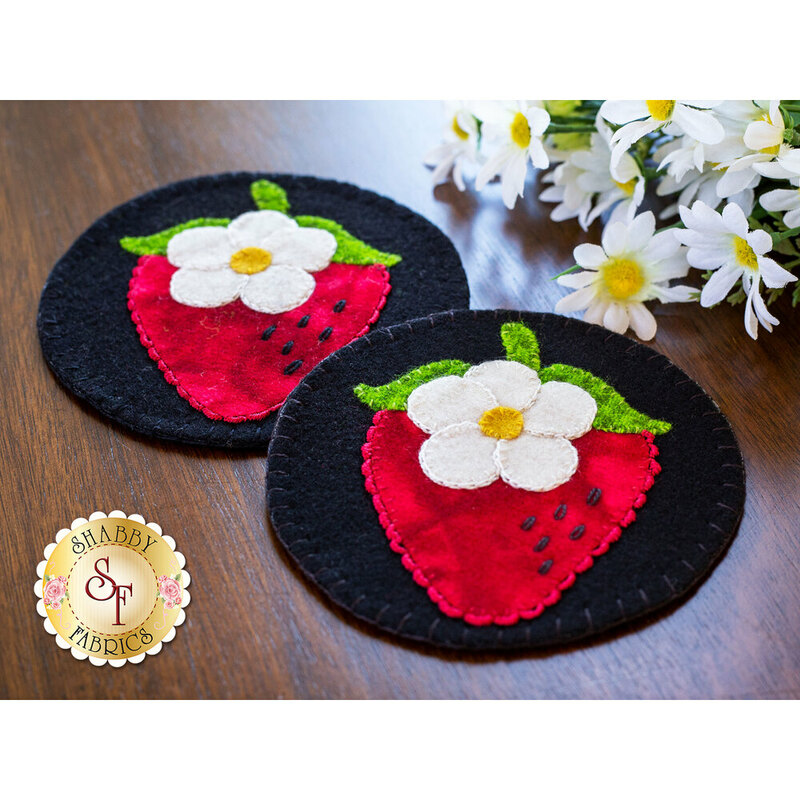 Celebrate Summer with the sweet strawberries of the June Wooly Mug Rug! 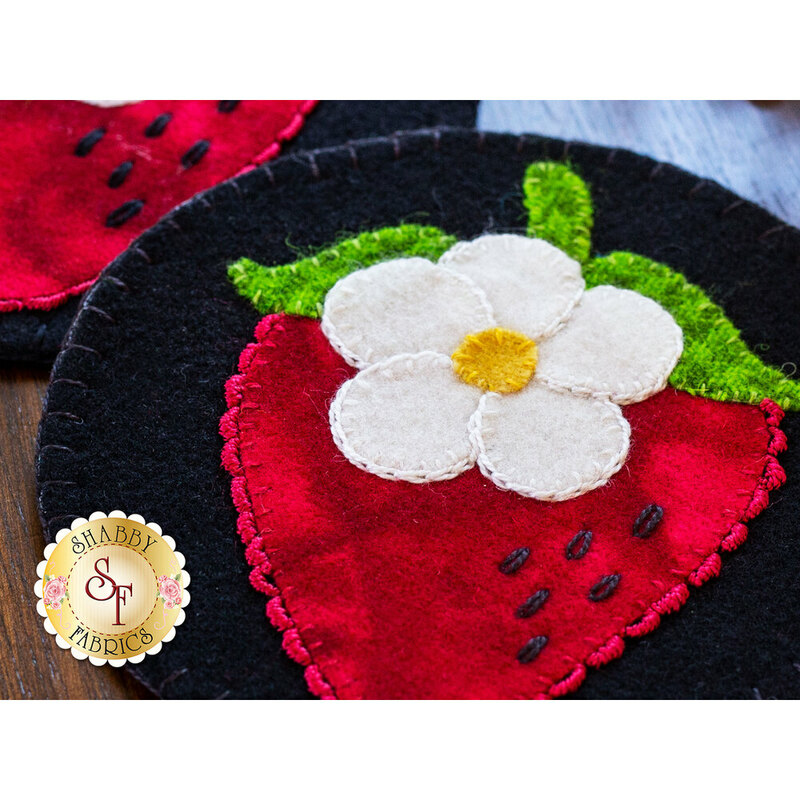 This darling coaster features several hand-dyed wools creating a gorgeous and unique project every time! You'll love making and displaying this 100% wool project! 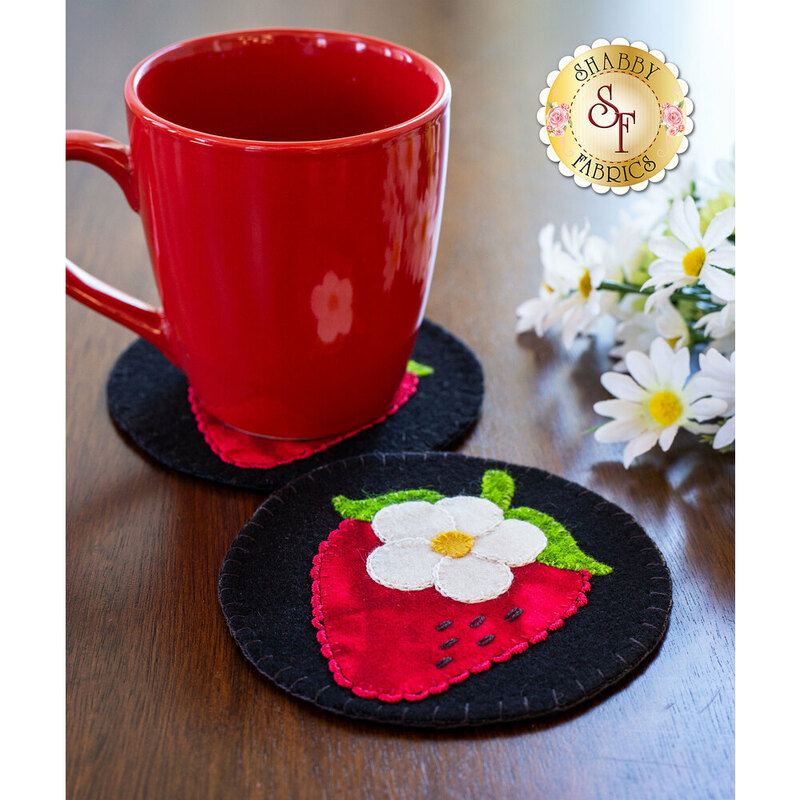 The Wooly Mug Rugs are designed by and only available at Shabby Fabrics! 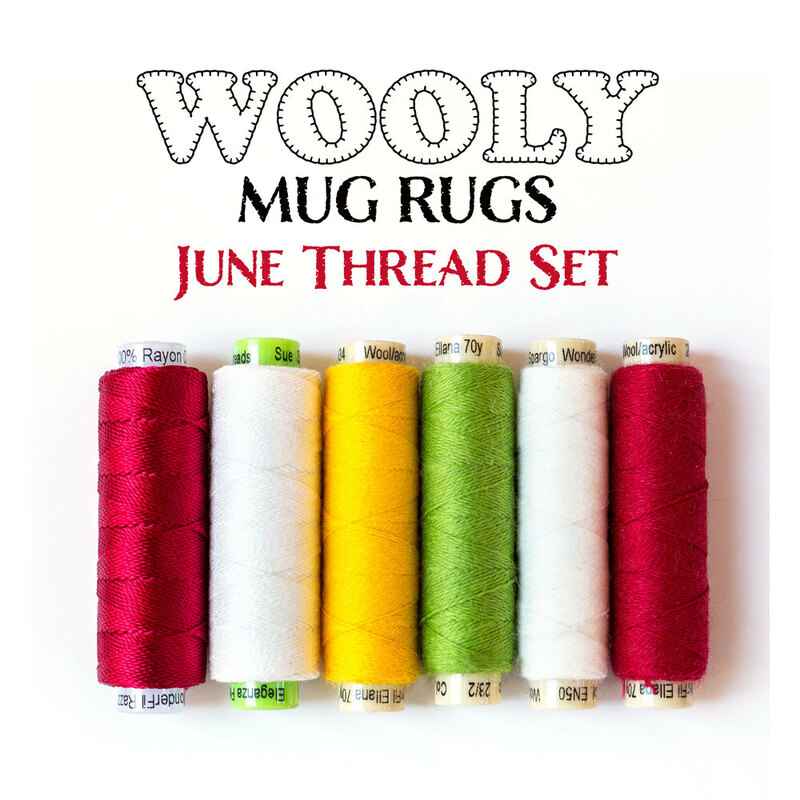 Download the Wooly Mug Rug June diagram HERE!